Preheat oven to 375 degrees. Toast pine nuts on a baking sheet for approximately 5 minutes, until light brown. Watch closely, they will burn quickly! In a small bowl combine olive oil and balsamic with a good pinch of salt and a bit of fresh cracked pepper to taste. 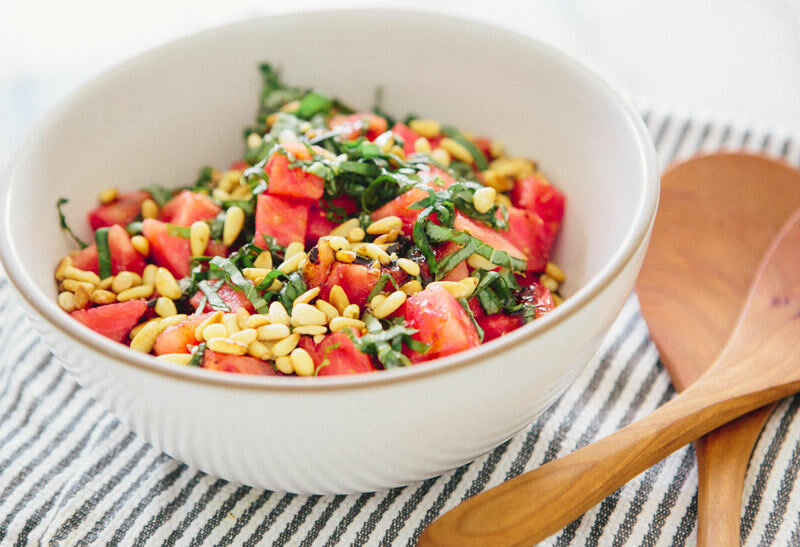 In a medium serving bowl combine watermelon, basil and pine nuts. Dress with balsamic/olive oil and sprinkle generously with Maldon salt. 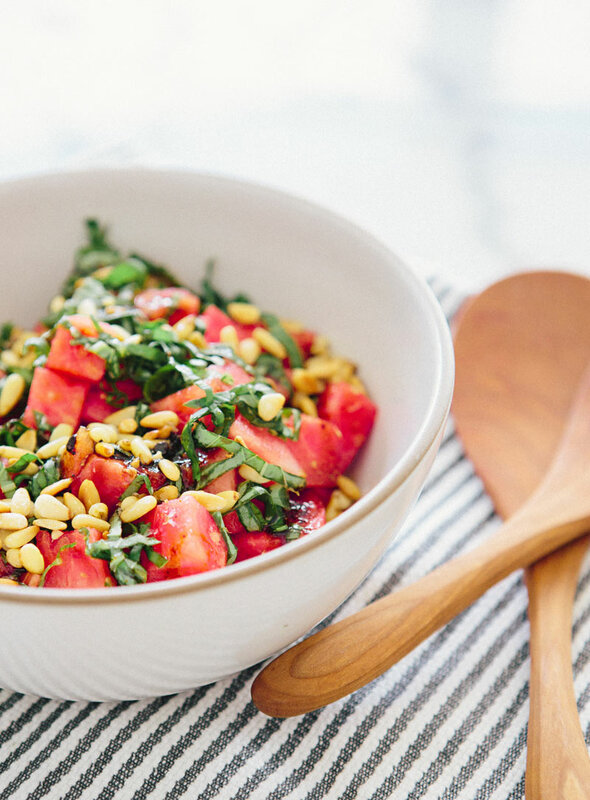 With this salad, it’s completely understand why eating your weight in watermelon is happening! And especially in the desert! I have some cantaloupe and I’m thinking it would be great in here also or in place of the watermelon!! I need to try all of your recipes! Seriously. This looks amazing! I cannot wait to try this recipe, it looks perfect for summer. 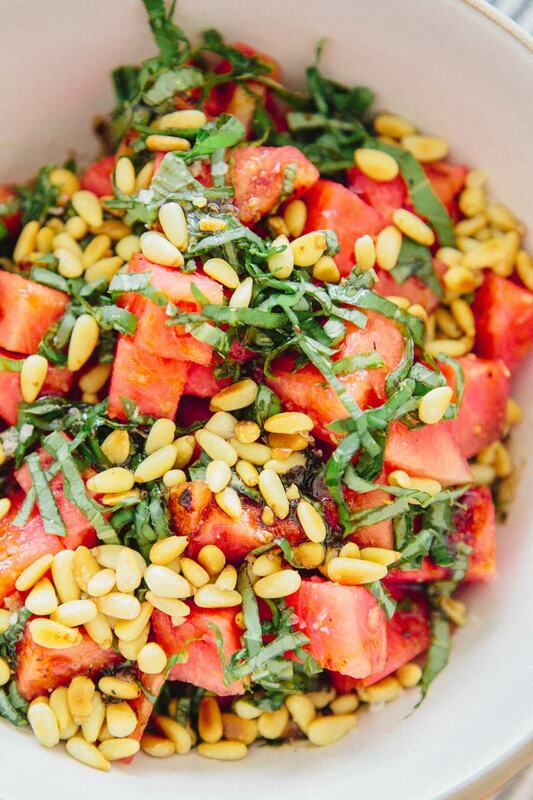 I love watermelon and this salad looks so healthy and delicious. 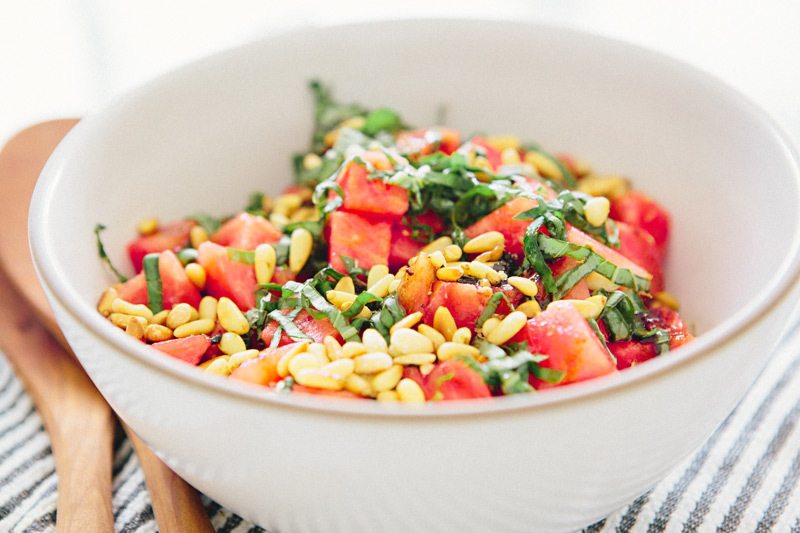 This looks so refreshing, love the pine nuts as an addition! This sounds and looks amazing, I need to make this asap! 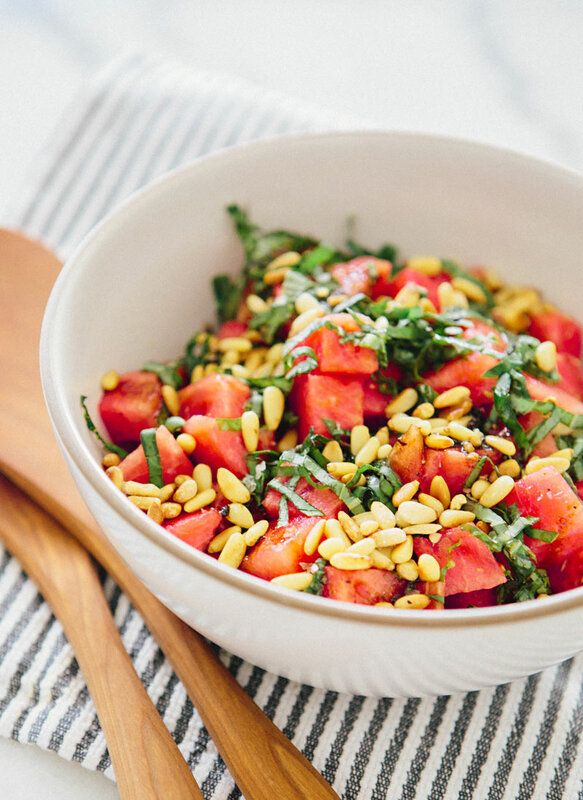 I’ve been really into watermelon this summer as well, I can’t even say how many we’ve gone through at this point but there is a fresh one all sliced and ready in the fridge as I type this. This salad looks amazing! We’re heading to the cottage this weekend and I think it would be the perfect thing to serve there…something light and refreshing to offset all of the indulgence. I remember when I discovered this salad, it’s so delicious and so simple. Your pictures show it’s beauty. missions were a little restrictive too, you were forced because of it to play in a particular way.